Learning List, an independent reviewer of K-12 Math and English Language Arts instructional materials, has released a review of TenMarks Math, finding that the entire curriculum for grades 1-8 and Geometry is 100% aligned to the Common Core State Standards (CCSS) and the curriculum for Algebra and Integrated Math is 95-97% aligned. Learning List employs a three-part, rigorous evaluation process when reviewing instructional materials. The first part, the publisher questionnaire, consists of 12 questions that are commonly asked in school district request for proposals. The second part, the educator survey, is sent out to at least seven customers who have used the product. Educators are also asked to complete a telephone interview about the product. Finally, the third part, the correlation document, consists of three to five “citations,” or pieces of content, for each standard at each grade level, which is reviewed by subject matter experts. Upon completion of the review process, the Learning List team found that TenMarks Math meets the content, context, and cognitive demand of every CCSS standard for grades 1-8 and Geometry and more than 95% for Algebra. 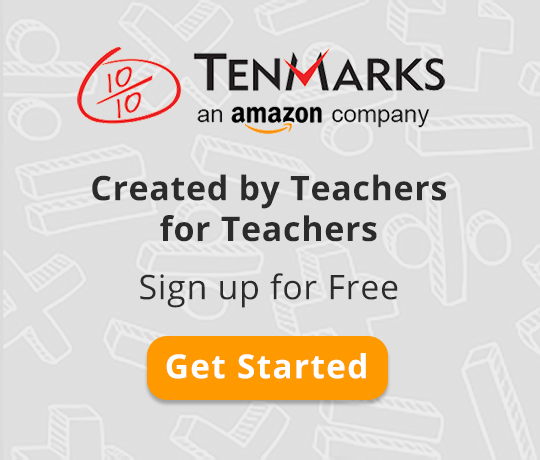 TenMarks, an Amazon company, creates powerful teaching resources, engaging lessons, and data-driven insights. TenMarks Math is used by students in more than 85% of school districts in the U.S. Sign up or log in to explore our rigorous standard-aligned math resources. Maureen is a member of the TenMarks marketing team. Maureen taught early elementary students in San Jose, California, for three years, two of which as a Teach For America corp member. Before her time in the classroom, she worked for a number of years in marketing, business development, and finance at education-focused organizations. She received her MBA from the McCombs School of Business at the University of Texas and received her undergraduate degree from Harvard University. She is passionate about supporting teachers to ensure all students have access to the right resources and tools to reach their full potential.